It’s time for full on comfort food with this classic soup turned up a notch and made easy using the electric pressure cooker. 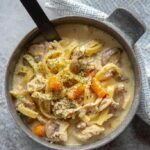 Instant Pot Creamy Chicken Noodle Soup is perfect to cozy up with on a cold night. While I sometimes feel the classics can be a little on the boring side, there are also those times when nothing else will do! 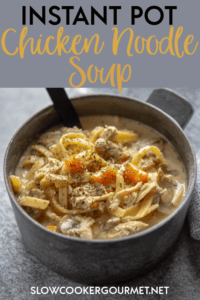 And while this may not be quite your mom’s chicken noodle soup, the good news is it is quick and simple and will give you a chance to start making those delicious memories with your own kiddos! 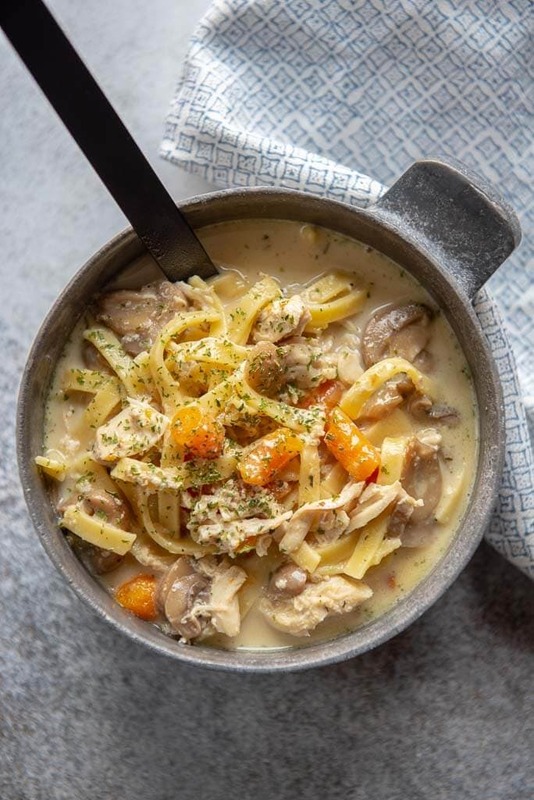 Instant Pot Creamy Chicken Noodle Soup is packed with flavor and hearty enough for to feed a hungry family. How do I make chicken noodle soup from scratch? It depends on how “from scratch” you want to be. Mine is somewhere between, more like a semi-homemade soup, but feel free to sub out anything store bought for your own homemade version. The idea for me is that I’d like something quick and easy, but not just from a can. Fresh herbs are always amazing, but something I rarely have on hand. I therefore gravitate toward seasoning blends to keep things simple and delicious. One of my favorites for pretty much any dish is this herb and garlic seasoning, and it is just as amazing in this soup. Poultry seasoning and Italian seasoning are the other good options. If you’d rather have a soup that is simmering away all day while you work (or play!) then be sure to try the slow cooker version of this soup! It's time for full on comfort food with this classic soup turned up a notch and made easy using the electric pressure cooker. 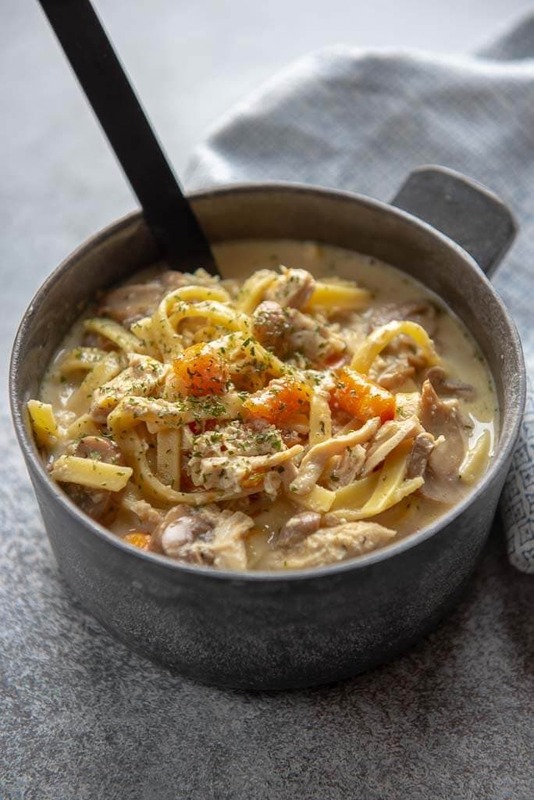 Instant Pot Creamy Chicken Noodle Soup is perfect to cozy up with on a cold night.